Starting the journey of loosing weight…..no wait…that’s not all!!! On September 11th my husband and I decided it was time to start our journey of loosing weight. 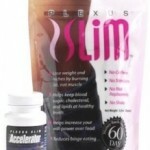 A friend of ours started taking this stuff called Plexus Slim and actually lost weight. It made us want to try it. 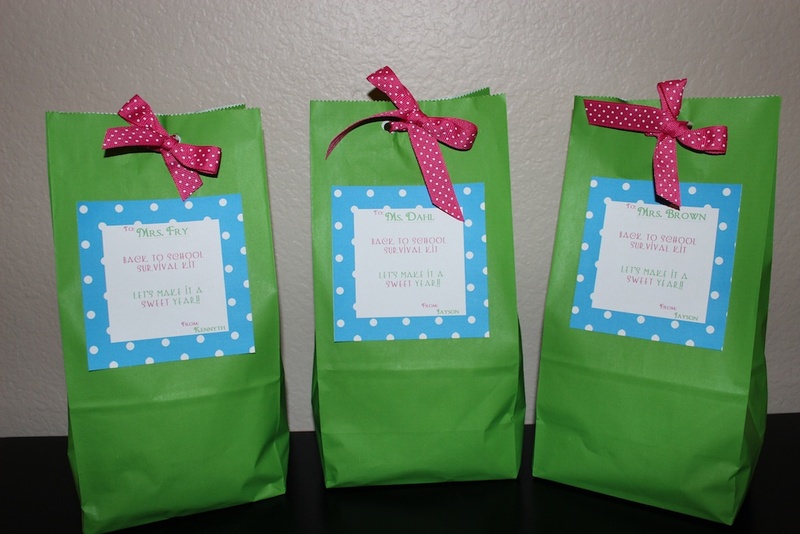 At first she started taking it w/out changing anything in her diet as she was told to do. She lost weight!!! Real weightloss from a real person we knew! So we had to try it. Ordered it on a Saturday and we got it in the mail the following Monday and started it the next day…a Tuesday. Who starts a diet on a Tuesday?!?! Aren’t you suppose to start on a Monday…..lol!! In addition to her weightloss her energy was up and she started exercising…something that is always hard for someone to start doing if your overweight. Your tired, your hungry, your in pain, your out of breath, your more than just tired…your exhausted. So seeing her story first hand helped us make the choice to do it. 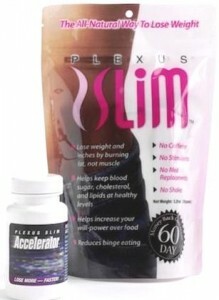 So today I started Plexus Slim and the Accelerator. I have more energy already. But the powder is so dang sweet it’s sickening. I added more water and just chugged it but I’m wanting to try it and I paid $100 for it so yah, I’m trying it! My husband already crashed off the energy on his first day….we’re not sure if it’s the sugary breakfast he had with it or not so we’ll see how his tomorrow goes. I don’t like sweets that much…shocking if you know me cause all I do is bake sweets! 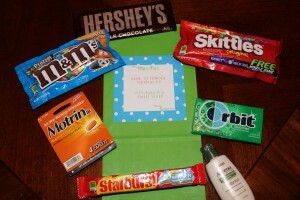 But I don’t like chocolate and really just don’t like sweets. I’m a HUGE Coca-Cola drinker….I’d even say I’m addicted to it. But lately my body has actually been telling me no more soda. I can’t stand how sweet it is….makes me so sick to drink it. People think I drink it for the caffeine. I don’t. I like the flavor of it (well before recently, lol). I like to eat but the foods I like are more savory than sweet. I like meals rather than snacks but I don’t eat meals non-stop. What I mean is I’d rather eat a steak or chicken rather than chips or snack cakes. I like home cooked food way better than eating out probably because that’s how I was raised. I love love love veggies so I definitely eat those. Anyways…I could go on and on to try and help someone understand that what I eat really isn’t my weight issue. Since I also have an autistic child I’m mentally tired all the time! Way more than i’d ever thought i’d be. He’s just like an energizer bunny…..he goes and goes and goes. So once he hits bed we like to relax on the couch with as much quiet as we can soak up!! Well I saved the above as a draft one week ago today. Reason is in the middle of all the craziness of the new weightloss stuff my husband said uh…I think you should take another test. I said really?!!! So I paused my typing to take the “Pee” test! WOWZERS!!!! It had 2 blue lines show up so fast I was shaking like it was my first kiddo!! As I was taking the test the hubbs texted and said well your going to tell me when you take it right (like you care to know that!). I say yes I will. I was trying to pee on a stick, keep the 4 yr old down for a nap (fail), and text all at once. I immediately sent him a pic of the test stick and my exact words were “well there you go. I am.”. LOL!!! So yes….I started a diet and quit in the same friggin day!!!! It’s funny…I know….you may laugh now!! Do you know how hard it is to keep it from family/friends now that we have facebook! Well I did!! I told my sister and 2 of my friends via text so I could at least tell someone!!! So tonight we finally told the kiddos tonight at dinner. My 8 yr old is ecstatic because the due date is 5 days before his birthday (for now)! And my 4 yr old said “awe….you ate a baby!!!!”. That was by far THE BEST thing i’ve ever heard from his sweet lil mouth!!! And yes then I posted it on facebook! We have one person left to tell and that’s my stepson that will be moving back in the house tomorrow night! Not sure if he’ll like the news being he’s 19 and there’s going to be a baby in the house a month before he turns 20…but whatcha gonna do?! I can’t wait to share this pregnancy with you all. And now let’s all think PINK….we need a girl in this house!!! 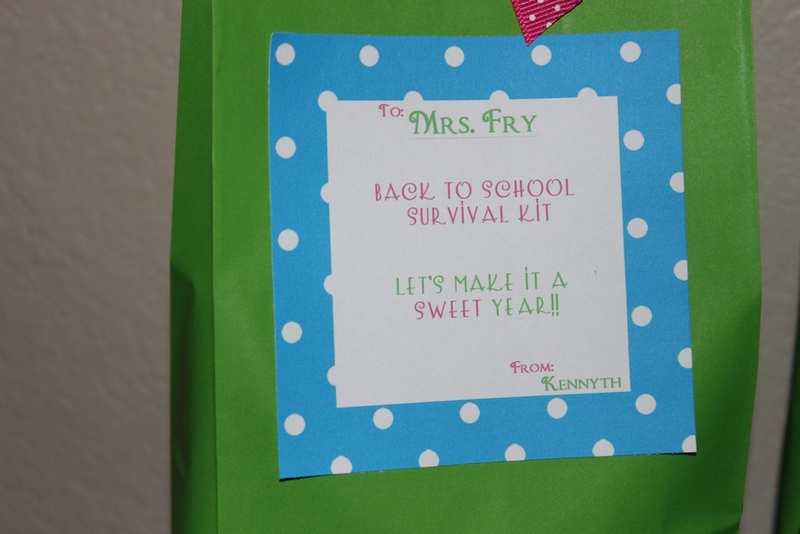 So yah….we’ve been back to school for 3 weeks now and I was going to write about the survival kits I made and well I’ve been so busy I haven’t had any time!! So here goes!! I decided to be all crafty and give the boys teachers a back to school survivor kit. I figured a bunch of candy was the right way to go. Then I thought well I bet they’ll have dry hands too so I got them some lotion. Then I said oh hell they’re gonna have a headache too..so motrin it was! 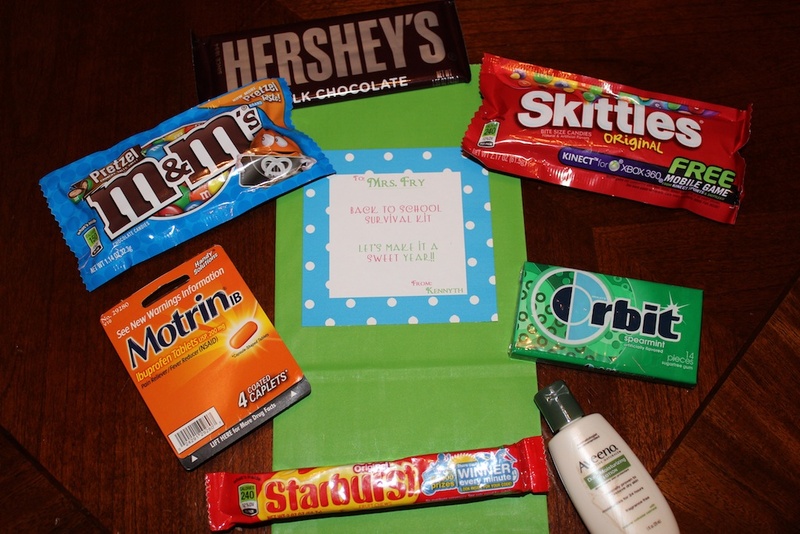 It was a fun little super easy way for us to say welcome back to school. I’d been super busy since we had our little “staycation” the weekend before school started that I’d forgotten to even do these. They seriously took me all of 15 min (minus the 15 min store trip) to make. I hit the candy isle and then the trial/travel aisle. I spent more than I thought I would but I was doing it last minute…oh well.